The North Shore of Oahu is the country mouse to Honolulu’s city mouse. The pace of life goes at a slower more relaxed pace and high fashion boutiques and fast food chains are few and far between. But don’t think that that means the fun is over! There is an endless string of stunning beaches with yellow stretches of sand. There are corals and rocks beneath the water’s surface housing so many colourful fish that would make any Finding Nemo fan squeal. And then there is the tranquil Hawaiian rainforest that makes you feel like you are in a scene from Avatar rather than a few hundred metres from the beach. 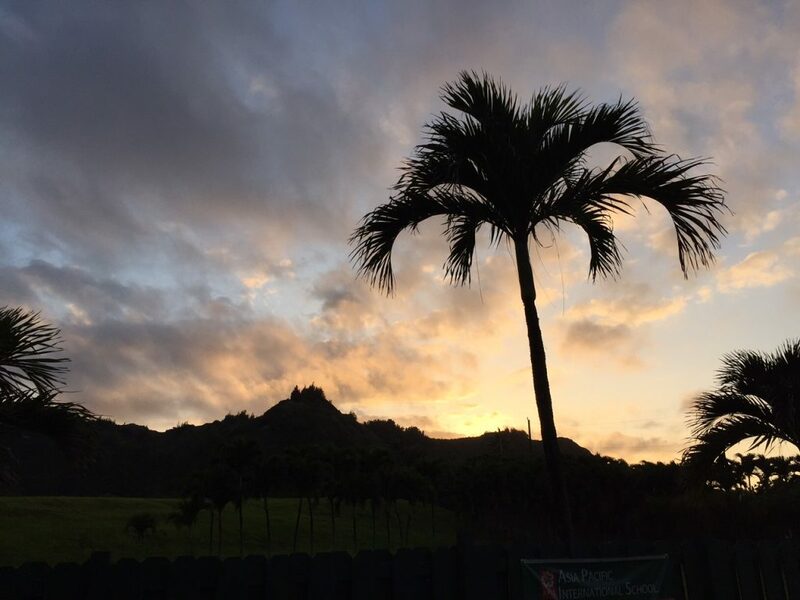 If you are going on a trip to Hawaii, make sure that you take the time to visit Oahu’s other side on the North Shore. Waimea Beach is a great place for beginner snorkelers. The sand extends into the water but the rocks, coral and fish are not far in. There are lots of beautiful fish hiding between the rocks and occasional corals. There is snorkel hire available at nearby Sharks Cove if you don’t have your own equipment. Try and avoid visiting on a weekend as the beach can get crowded. The long strip of sand at Sunset Beach is perfect for stretching out with a good book and just chilling out to the sound of the waves. The beach is long so even on weekends it is easy to find a spot away from the crowds. The sunset here is said to be one of the best in the world and well worth the wait at the end of a long beach day. 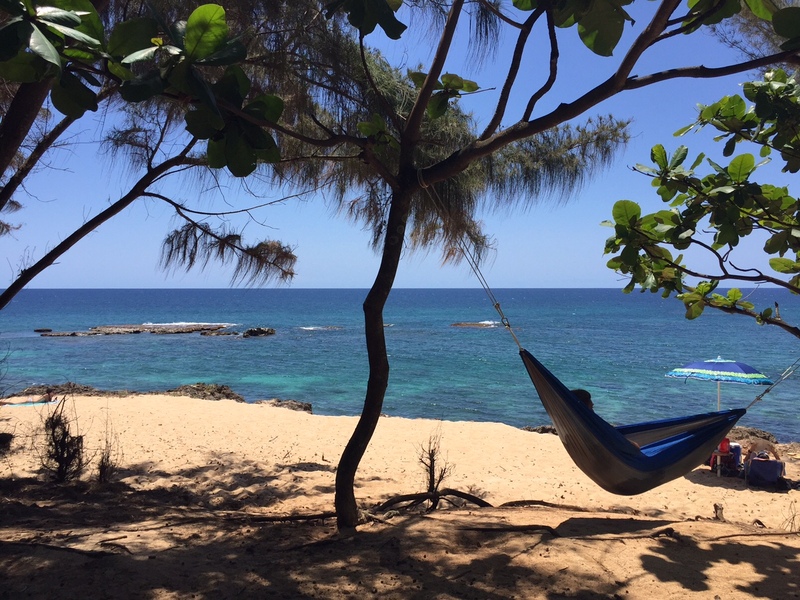 While the Turtle Bay Resort owns most facilities in the area, all beaches in Hawaii are public and this includes the Turtle Bay beach. It is a great snorkelling spot with lots of rocks and corals for the fish to zip in and out from, and as the name suggests there are also sea turtles. Aqua shoes or flippers are recommended. If you are more interested in going for a paddle go to Kuilima Bay on the other side of the resort. 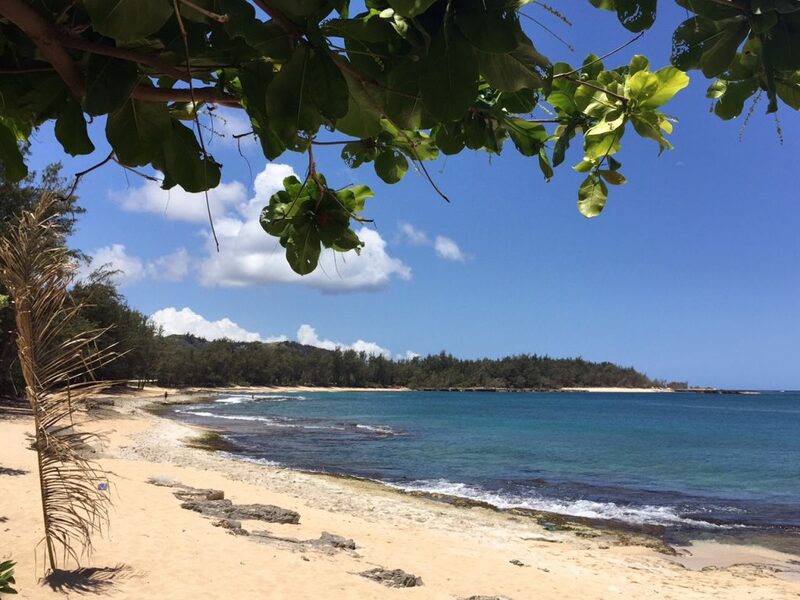 The protected sandy beach is a great place to relax and more comfortable under foot than rocky Turtle Bay. The North Shore isn’t all about beaches! 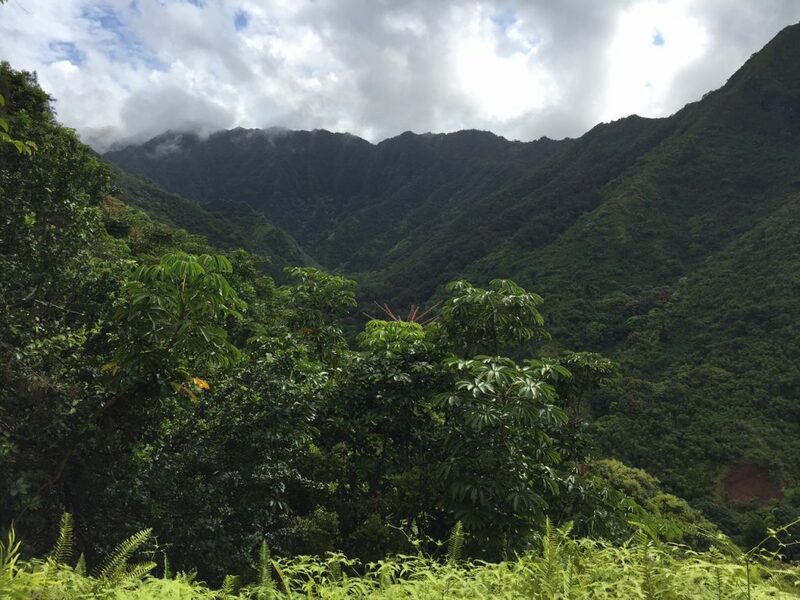 The luscious Hawaiian jungle is just waiting to be explored on the other side of the highway. The Hau’ula Loop Trail is a well maintained trail but the trail head can be hard to find if you don’t know what you are looking for. It starts at the end of Hau’ula Homestead Road in Hau’ula. Go to the end of the road and then pass through the yellow gate and around the second gate and follow the road until you see a sign pointing into the forest. The trail is approximately 4km and goes through a number of elevation and vegetation changes with a few stunning views thrown in. Make sure to pack mosquito repellent and prepare to get muddy shoes if it rains! The Bus Route 55 starts at the Ala Moana Centre in Honolulu and services the North Shore with regular stops at all the best beaches, food trucks and snorkelling locations. It is affordably priced at $2.50 per trip with a free transfer permitted within 2hours of boarding. Be careful not to miss your stop as the stops are not announced on most buses. 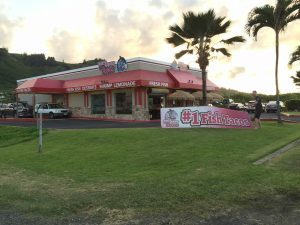 Their claim to fame is that they have the best fish tacos in Hawaii. I tried both the fish and chicken and personally I preferred the chicken but the fish tacos were good too. The food truck at Sharks Cove and the restaurant at Hau’ula were both busy but chilled with a Mexican style décor. Try the pineapple salsa for a sweet change to the regular tomato variety. 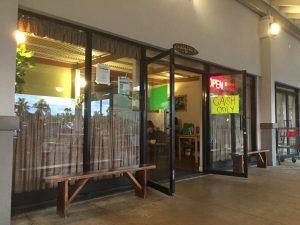 This one is a well-kept local secret, and with the unassuming, unmarked entrance I would not have gone in if not for the crowd of locals all chowing down in the outdoor seating area next door to the Hau’ula Dominos Pizza. The menu is simple but everything looked fantastic. I tried the cheeseburger with fries and honestly it is one of the most delicious burgers that I have ever had. I never thought that a burger with just meat and cheese could be so perfect! They also do a number of local specials if you are game to try the local fare. The food is so good that Papa Ole’s doesn’t need a business sign! There are food trucks lining the Kamehameha Hwy all with a different specialty ranging from shrimp to thai food to tacos. Many were packed with locals and tourists alike come dinner time. Romy’s Kahuku Shrimp truck was one of the most popular on the main strip serving freshly harvested shrimp with simple sides and local desserts. 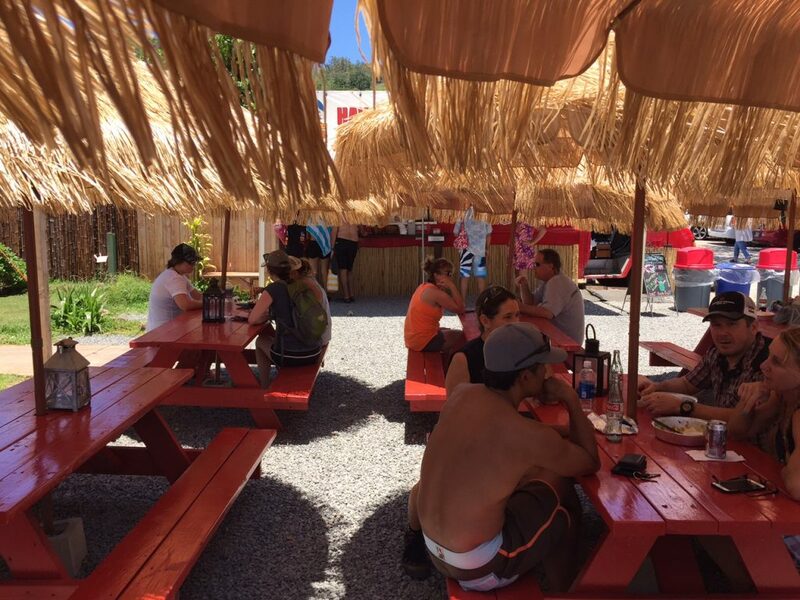 The Backpackers Vacation Inn and Hostel has a first class location being situated directly across from Waimea Beach and with a bus stop right out front. It is the only hostel on the North Shore and it has both private and dorm rooms with a bed in the dorm going for $30 a night at the time of writing. There are lots of Airbnb’s located across the North Shore and this was our choice of accommodation. 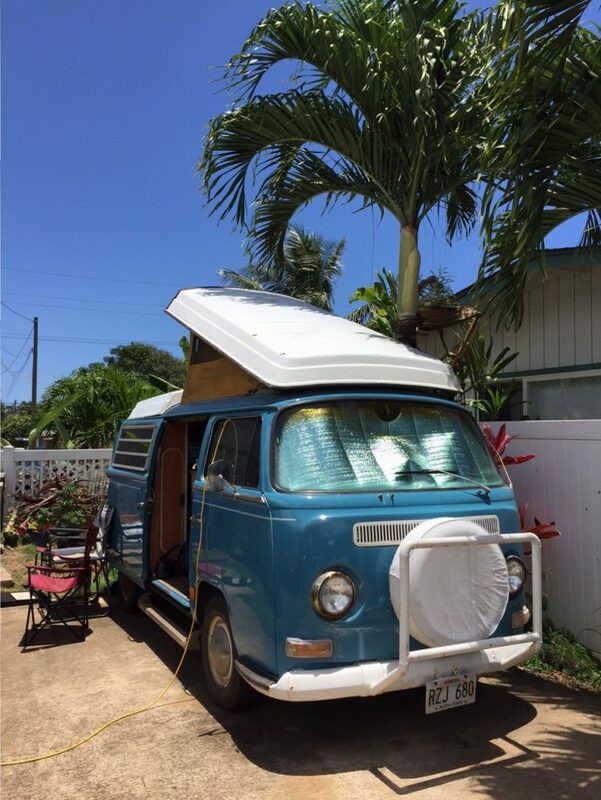 We chose to stay in a VW Combi van located under a palm tree in Hau’ula about 100m from the beach. It was affordable and the cool factor was through the roof! The comfort factor wasn’t bad either. As with all Airbnb’s there are lots of price points and quality so do your research before booking. Our accommodation in Hau’ula just oozed cool! 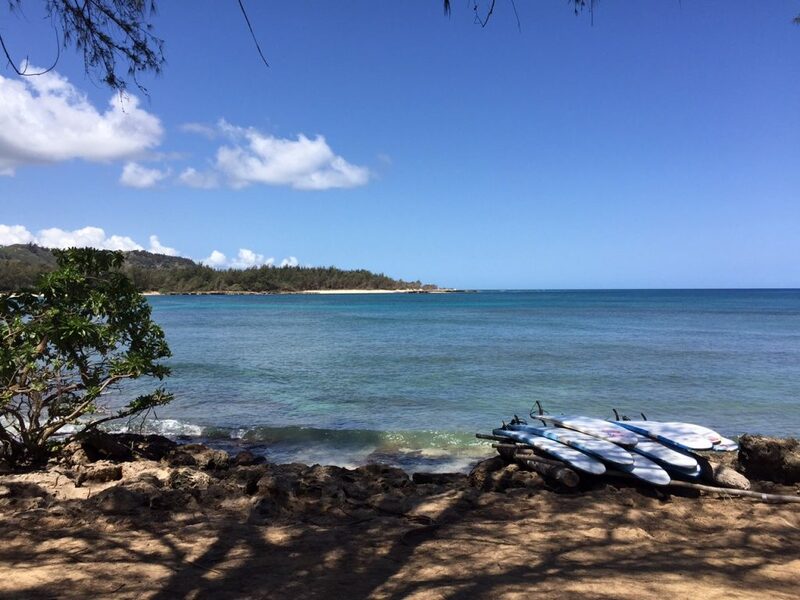 Turtle Bay Resort is a first class facility on the North Shore. It is located right on Turtle Bay and offers many 5 star facilities including a large golf course and tennis courts. Rooms are priced to match and are for the more affluent traveller but you get what you pay for and you won’t be disappointed with the views or facilities.